KRISTA FRANKLIN is a poet and visual artist whose poetry and collages have been published most recently in Indiana Review, Ecotone, Clam, Callaloo, MiPOesias.com, CultureServe.net, and the anthology Gathering Ground. 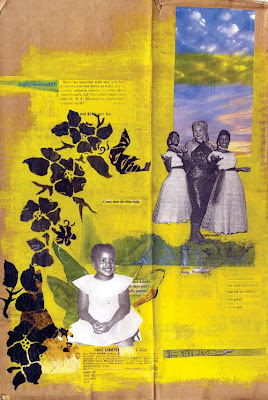 Her collages have been featured on the covers of award-winning books, and exhibited nationally in solo and group exhibitions. She is a Cave Canem Fellow, a co-founder of Tres Colony, an artist collective, and a co-founder of 2nd Sun Salon, a community meeting space for writers, visual and performance artists, musicians and scholars.